We come from the financial industry and see how retirement planning doesn’t work for everyone — it’s unnecessarily complex, too focused on traditional options, and disconnected from most people’s real lives. We think this is just wrong. We believe that retirement planning should work better for everyone, wherever they are in their life’s journey. At plynty, we consider ourselves fortunate to be part of a growing community of like-minded people who have a passion for making retirement planning truly understandable and easy. We are committed to making plynty the community you come to for affordable, personalized financial advice. 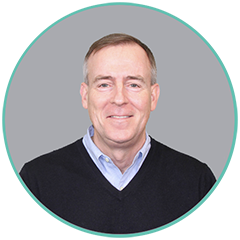 For three decades, Dennis focused on strategic management and product design at Wachovia, First Tennessee, and TDAmeritrade. He’s helped develop three successful startups in the financial services industry. Now he synthesizes his knowledge of technology, personal finance, and investments to make financial advice affordable, available, and transparent for people across the United States. He is also an avid reader and traveler, always looking to expand his knowledge of other cultures and perspectives. Dirk has dedicated his multifaceted career to the creation of thoughtful financial planning tools that help the underserved. He was the architect and lead developer on a computerized financial planning product that ultimately became Kiplinger’s Net Wealth (by H&R Block). Dirk is also the owner of a small family business, which means he always has financial planning top of mind. When away from his keyboard, Dirk cruises on his motorcycle and perfects his digital photography — there’s a lot of world out there he hopes to capture. Without a doubt, Michael is quite accomplished: Ph.D. in pure mathematics; economist; investment professional; author. He’s built financial planning models used at several of the world’s largest banking and consulting firms, including The Bank of New York, Smith Barney, and Pershing. He is a visiting fellow in the Centre for Systems Informatics Engineering at City University of Hong Kong, and a research associate of the EDHEC – Risk Institute. Michael is most proud of his book, “The Big Investment Lie”, which shatters myths about financial advice, and the book he co-authored, “The 3 Simple Rules of Investing: Why Everything You’ve Heard About Investing Is Wrong — And What to Do Instead”, which further affirms his commitment to transparency in investing. 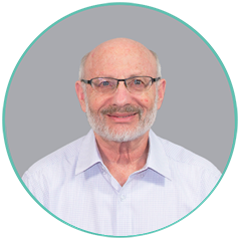 In addition to his work in investments, Dr. Edesess has been active in nonprofit organizations, including International Development Enterprises USA, which focuses on rural smallholders in developing countries. 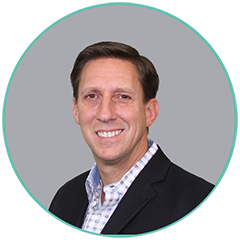 For over 10 years, John has been dedicated to helping financial services firms solve a wide range of challenges related to data analytics, segmentation, pricing, growth. He was a member of the North American Banking team at Earnix, a firm specializing in price management and optimization; and was a Senior Director of Banking and Finance at IXI (acquired by Equifax), where he was accountable for the firm’s business with many of the largest banks in the US. In his spare time, John enjoys traveling, reading, and volunteering with a variety of local and national organizations. Sharon is a habitual entrepreneur, and over the past 30 years has built a small consulting practice into a large, diversified firm spanning multiple industries in the public and private sectors. Her drive and success led to her company, AEM, being named to the INC Top 5000 in 2016. She is all about building up communities. 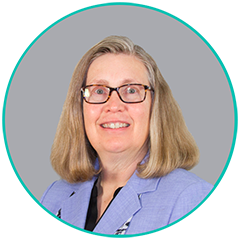 A Ph.D. in civil engineering and tenured adjunct at George Mason University, she is an expert in and promotes sustainability — both from an engineering perspective and as a believer in social responsibility. Sharon’s passion is volunteering with numerous nonprofits, including Habitat for Humanity. Joe has a passion for technology. An early adopter of open source, he started and has grown Vizuri to be an award winning, premier services partner with market leaders such as Red Hat and Docker. He takes pride in combining modern software architecture with a solid foundation in engineering. 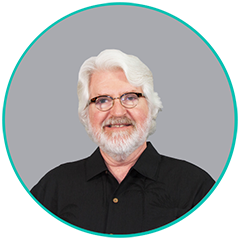 With over 30 years of experience as a technical architect, developer, and business leader, he specializes in helping visionaries – large and small — realize their dreams. 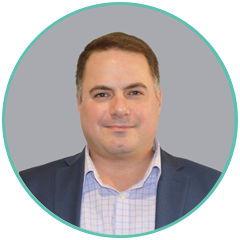 Joe has extensive experience within the Financial Services and Insurance industry segments, and he’s dedicated all of his knowledge to help build the plynty app to ensure it delivers on its promises. 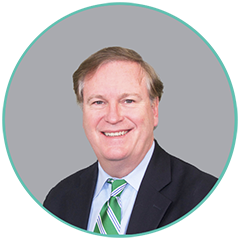 A 30-year veteran of the investment and insurance industries, George has spent his career with premier financial companies including U.S. Trust, Mullin Consulting, and Bank of America Private Bank. He founded the Purchasing Power Portfolio, co-authored “The 3 Simple Rules of Investing: Why Everything You’ve Heard is Wrong, and What to Do Instead,” and is co-author of “The Frank Insight of the Day” blog. George has a wonderful ability to make people laugh: in his spare time, you’ll find George onstage as a stand-up comedian who has opened for Brian Regan and Jim Gaffigan, among others.